At the request of Her Majesty's government, private enquiry agent Cyrus Barker agrees to take on his least favorite kind of assignment-he's to provide security for a secret conference with the French government. The conference is to take place on the private estate of Lord Hargrave on a remote island off the coast of Cornwall. The goal of the conference is the negotiation of a new treaty with France. The cover story for the gathering is a house party-an attempt to introduce Lord Hargrave's two unmarried sons to potential mates. But shortly after the parties land at the island, Lord Hargrave is killed by a sniper shot, and the French ambassador's head of security is found stabbed to death. The only means of egress from the island-a boat-has been sent away, and the means of signaling for help has been destroyed. 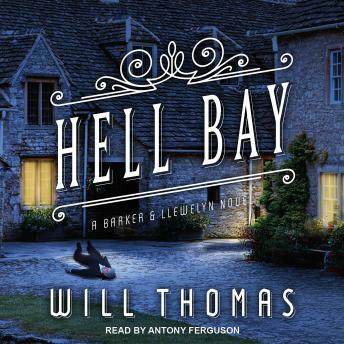 Trapped in a manor house with no way of escape, Cyrus Barker and his assistant, Thomas Llewelyn, must uncover which among them is the killer before the next victim falls.